Communications Solutions for Local & Central Government | 8x8, Inc. Cloud solutions are quickly becoming the preferred choice for local & central government offices seeking cost effective ways to deploy and manage distributed phone systems and contact centres. 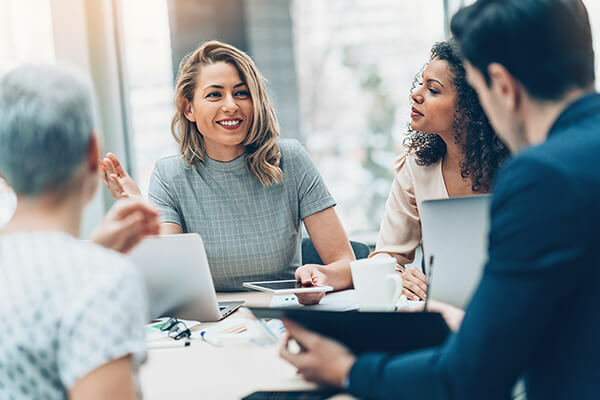 Government offices face a challenge to provide secure, compliant, collaborative unified communications, whilst managing increased financial challenges. We provide an immediacy to communications that most other cloud providers can’t match. Our top tier data centres are strategically located to ensure crystal clear connections, superior call quality and minimal latency. 8x8 enables you to communicate in any way, on any device, at any time. 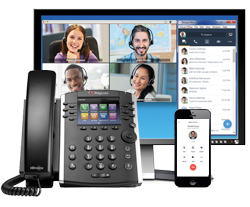 You can get continuous communications, from desk, to computer, to mobile with voice & video calls, chat & more. 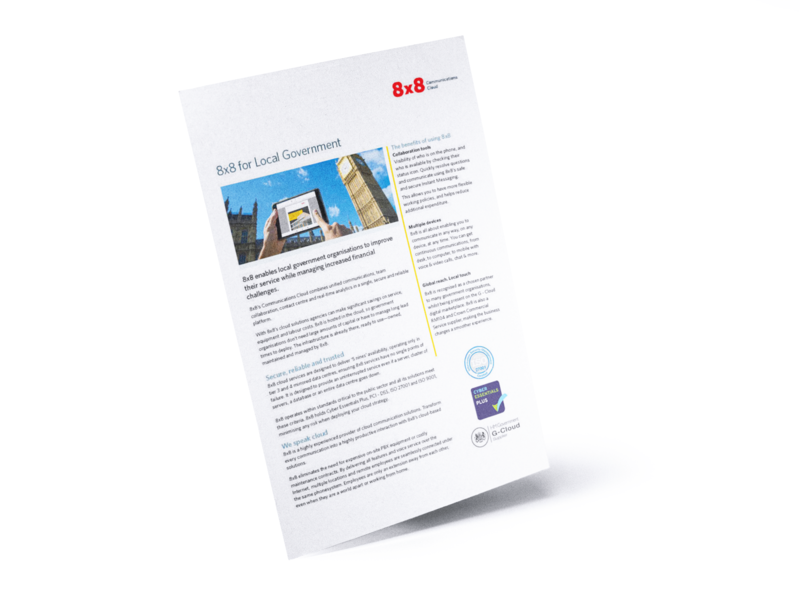 8x8 recognises the increasing need for local & central government organisations to successfully implement a channel shift strategy, where technology will encourage people to communicate digitally because it’s easy to use. Successful implementation will lower overall transaction cost, while allowing authorities to increase the number of people they can serve whilst maintaining a high level of customer service. As a chosen partner to many government organisations, 8x8 are also listed on the G-Cloud digital marketplace. 8x8 is also a RM104 and Crown Commercial Service supplier, making business changes a smoother experience. Working with 8x8 has been incredibly easy. We were keen to support a business based locally and with the fantastic solutions available, it was an easy decision to choose 8x8. It’s important for us to use cutting edge technology to make sure we are as efficient as possible and ensure our local residents receive the best possible support. Is a cultural change needed to prevent individuals holding back local government tech adoption? procurement, where more than a third (35%) believe colleagues are standing in the way of technology because it will disrupt what they already have in place. 8x8 Cloud Communications solutions allow all agencies to save significantly on service, equipment and labour cost. Because 8x8 solutions are hosted in the cloud, government agencies do not need large amounts of capital or long lead times to deploy and use 8x8 phone systems, contact centres or unified communications solutions. The infrastructure is already there, ready to use—owned, maintained and managed by 8x8. any risk when deploying your cloud strategy. standards for all EEU member states. external auditors audit 8x8’s information technology infrastructure controls annually. Call our Government Solutions Team on 0333 043 8888 for more information or sales assistance.